The prime minister asked to organise a conference on 30 years of FDI focusing on summarising and the objective assessment of foreign-investment in Vietnam. At the mid-term Vietnam Business Forum (VBF) 2018 on July, Minister of Planning and Investment Nguyen Chi Dung announced that Prime Minister Nguyen Xuan Phuc has just approved to officially hold the conference on 30 years of FDI on October 4, 2018. The prime minister appointed the Minister of Planning and Investment to report on the content and plans of the important conference. The prime minister asked the conference to summarise and provide an objective assessment of foreign-investment activities in order to promote achievements, minimise the negative aspects, as well as recommend adjustments or supplementation of the legal framework on investment. Vietnam started the doi moi in 1986. One year later, the first Law on Foreign Investment in Vietnam was issued based on a document on investment in 1977 and referred to the experiences of other countries. The law included six chapters and 42 articles. The law has been amended four times (in 1990, 1992, 2000, and 2005) to match with the world’s economic situation and international practices. In 2014, new Law on Investment was issued. Opening and luring investment was one of the brightest decisions that transferred Vietnam from a poor and backward country into one of the highlights of the global economy. Only two years after the issuance of the Law on Foreign Investment, 213 investment certificates were granted between 1988 and May 1990, with the total investment of approximately $1.8 billion. At the time, FDI flows into Vietnam remained modest, because Vietnam’s doi moi had just taken the first steps and the US embargo on Vietnam had not been lifted. The first wave of FDI flowing into Vietnam started in 1991 and lasted until 1998. Within these seven years, there were 2,230 projects registered with $16.244 billion in total registered capital, $12.98 billion of which was disbursed. 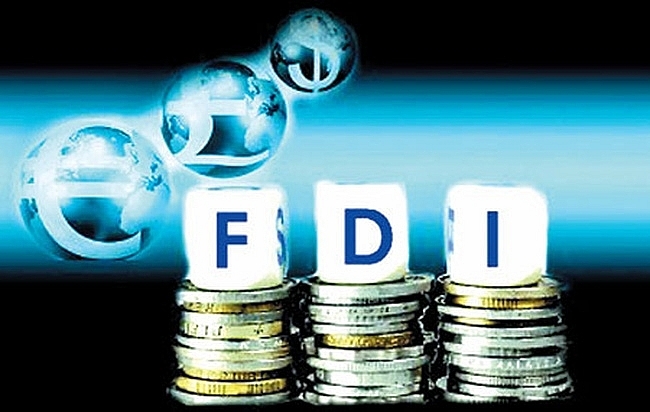 The second wave of FDI began in 2005 and brought a total of $6.893 billion, with $3.3 billion disbursed. Total investment increased to $12 billion in 2006 and $21 billion in 2007, and was maintained at high levels ever since. To date, 128 nations and territories have invested in more than 6,000 FDI projects in Vietnam, carrying the total registered capital of $326 billion, with more than $180 billion disbursed.